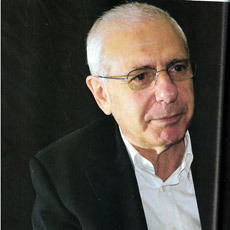 Ibrahim Betil who was born in 1944 presided, chaired, and founded industrial and financial companies, commercial banks in and outside of Turkey for 25 years (1970-1994). Simultaneously, and especially after 1994, he has been closely involved in the educational life and civil society activities in Turkey. He has initiated the establishment of and chaired several foundations and schools, lectured in universities, produced radio and TV programs, has been a columnist in several newspapers and periodicals, and author of a bestseller book. He has served as Europe, Middle East and Africa region advisor for, and member of the Board of Governors on the IBO- International Baccalaureate Organization. Currently Ibrahim is a Senior Fellow at ASHOKA, Board Member at TOG, and a Member of Audit Committee at MAG. He chairs ENKA School and SEN-DE-GE Association. He is also among the founders of and a Member of the Board of Teachers Academy Foundation ÖRAV. In his professional life, Betil continues to sit on the boards of and to advise several industrial and financial companies.